Independence is an interesting concept given the presence of a State. Taken literally, then no country is truly independent with many relying on financial and military support from other countries or institutions. All states within the European Union that use the Euro cannot make independent financial decisions, and they are also subject to the legal framework of the European legislative bodies. Yet they are considered to be independent. Judge Anzilotti in the Austro-German Customs Union Case determined that “Provided a state does not place itself under the legal authority of another state, then it is independent”. Recognition is an unclear point. There are no legal rulings, or formal processes by which recognition is pronounced, universally, by all states, at the same time. It is a binary concept, one is either recognised, or not recognised; there is no sense in being partially recognised. An illuminating quote from Grant in ”Recognition of States” is that “recognition perfects statehood” . Although, conversely, some would argue, that recognition creates statehood. That is how ambiguous it is. It would be elegant to think that all of the 193 countries met the statehood criteria, were clearly independent , and were recognised in a consistent manner. Israel is a member of the United Nations, yet 32 countries in the world do not recognize it. It is questionable whether it meets all of the Montevideo requirements, particularly with respect to “defined territory”. Palestine has been recognised by 122 countries, and barely achieves any of the criteria of the Convention. The EU recognised Bosnia-Herzegovina on 6 April 1992, before it had full control of its territory, and was very dependent on external assistance, and the significant Serb minority boycotted the referendum. Kosovo’s status is unclear, but 88 countries have recognised it, despite it having an unstable government, and a consequent inability to foster good international relations. It is also questionable as to whether the borders have been correctly defined given the significant Serbian minority in the north who oppose independence. Taiwan fully complies with the Montevideo convention and is a robust and viable trading entity, but is not a recognised country. It is alleged that Taiwan, itself, has not claimed to be a state, but it is reported that China would consider it an act of war if independence was declared. Because of this the international community remains silent with respect to Taiwan. Another long-standing unrecognized state is the Turkish Republic of Northern Cyprus. This was denied recognition due to the fact that it resulted from an act of aggression, also the Turkish community was not considered a “unit of self-determination”, and it fragmented the territorial integrity of Cyprus. Other examples have been rejected where states have declared independence without reference to the views of the people or where there are human rights violations. There is a chronic lack of consistency in the approach, and there is no meaningful view on how progressive recognition can work in practice. Fundamentally it seems to rely on the claim being subjected to the right degree of political support. In the case of Nagorno-Karabakh, the only criteria of the Montevideo convention which it would be fragile on, is the “defined territory”. Whilst the NKR Government would be very clear on where the border is, today, this is not necessarily a stable situation and it is not consistent with the border at the point of independence declaration. In every other respect, it is a state, and it is independent of Azerbaijan who exerts no actual legal authority over the country. There seems to be no precedent for resolving Nagorno-Karabakh’s claim; there is no guidance from history. The law is incredibly complex, and contradictory. The only solution can be based on equity and human rights for the people directly affected. A third option would be an arbitrary alternative line and would, most likely, be unacceptable to both sides. The 1988 borders would create a massive security issue for the Armenians living within the original NKAO part of NKR, and would most likely result in the displacement of the Armenians in the surrounding regions. It is difficult to see how this would be a legitimate way forwards. 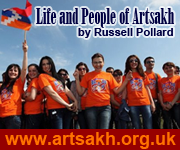 Formalising the Line of Contact is not disadvantageous to any individual whether living in NKR or Azerbaijan. It will only be beneficial; it will start creating stability for all in the region. When enacted, discussions could then start, on how to address the rights of those Armenians and Azerbaijanis who were displaced, and lost property and family members during the war. It will also facilitate the acceleration of the de-mining operations in the surrounding regions to the original NKAO; this is necessary to support re-settlement. It is unlikely that Azerbaijan would ever consent to this proposal, but that did not concern the international community with some of the historical recognition decisions. 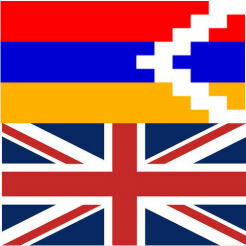 Nagorno-Karabakh needs political support from the West to achieve recognition. Nothing else would be successful. Unfortunately the performance of NATO in recent times has not inspired confidence with its indecisiveness and lack of coherent vision. However, that should not affect the continuing determination of all, to secure recognition, of the currently defined Nagorno-Karabakh Republic. It is the only humanitarian option, for everyone. 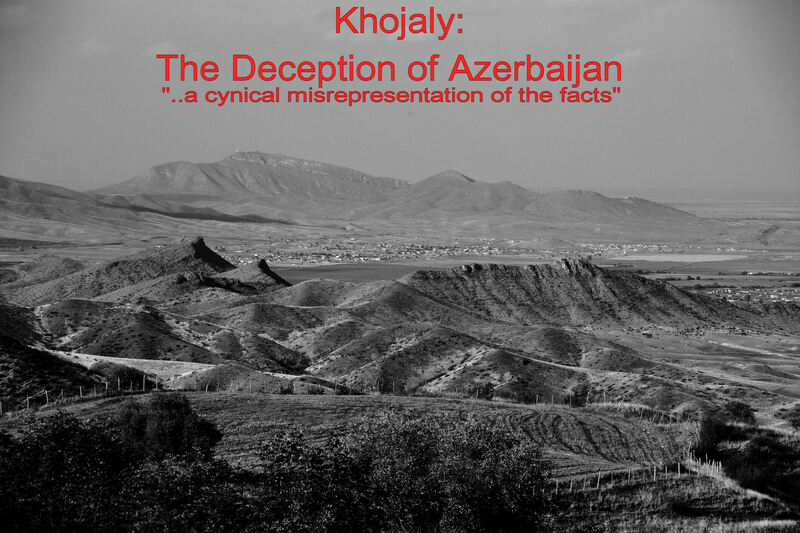 ‹ Khojaly/Khojalu propaganda – How Azerbaijan changed the numbers!